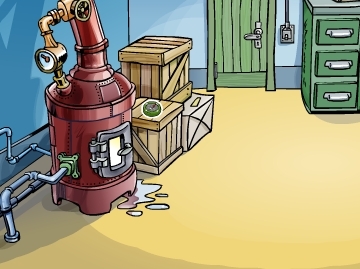 Nothing too major happened on July 30th in the past of Club Penguin. The only update to have occurred on this day in the calendar would be July 30th, 2010, when the Compass Pin was released. The Compass Pin, like all pins, was available for two weeks. This was the ninth pin to be hidden in the Boiler Room. The pin hidden before the Compass was the Tambourine Pin. The pin hidden after the Compass Pin was the Carabiner Pin, to go along with the August 2010 party, the Mountain Expedition. Wow! I didn’t actually remember that! :o.. But now I remember thanks to this website. (: thanks! I remember this :P I thought of it as a very boring update for some reason. I remember this well, I was much more active then. Fun fact I have not had membership for longer than 1 week in the history of me joining cp and that was when was saving for a years membership a week ago.